Lately I have been trying to post personal letters or other writings of men who fought at Chickamauga. Of necessity I tend to post more Federals than Confederates, for the very simple reason I have far more Union sources than Rebel; and many of the Rebel sources have been made public in the past. Here’s a letter from First Sergeant Andrew Augustus Stuart, Company A, the 5th Georgia Infantry – known before the war as the Clinch Rifles, from Richmond County GA. The Clinch Rifles were formed in 1851, as a militia company; their pre-war uniforms were dark green, and they carried Model 1841 Harper’s Ferry Rifles (aka Mississippi Rifles.) They mustered in as Company A on May 11, 1861. 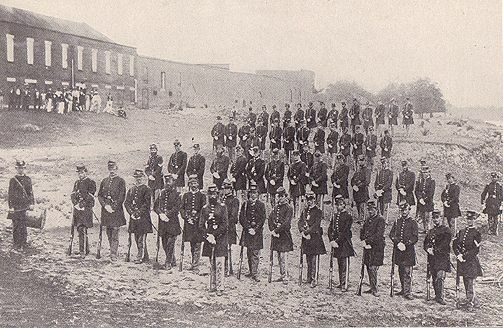 When the 5th arrived in Pensacola to join Braxton Bragg’s command later that summer, Bragg referred to the 5th as “the Pound Cake Regiment” because of the variety of pre-war militia uniforms found in the unit. Stuart enlisted as a private, rising to First Sergeant. His regiment served in Brig. 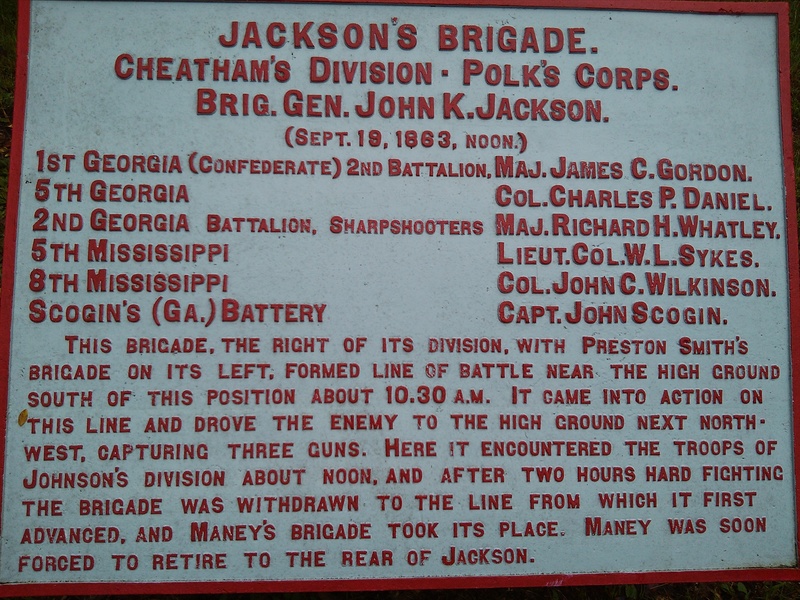 Gen. John K. Jackson’s brigade, of Cheatham’s Division. The 5th was engaged just north of Brock Field on the 19th, and opposite the Federal positions along Battleline Road (Kelly Field) on September 20th. You will perceive from the heading of this where now [we] are – you ere this heard what we have done, after two days hard fighting. Gen. Bragg has acheived through the aid of Almighty God a great victory over the enemy, thus far, he has driven him into Chattanooga, where he has made his stand, for the purpose I believe of covering his retreat across the river, but yet we may have to fight him here, this remains to be seen. I was in all the fighting (2 days) (up to my post) and thank God I have not received a scratch. Our brigade drove them on Sunday evening from their breastworks where they ran like wild turkeys, throwing away their guns, knapsacks, and everything & that night we slept on the battlefield. The loss in our regiment is greater than any in the Brigade – as follows: 166 wounded 26 killed & 7 missing out of 332 carried in, our company lost 3 killed, 7 wounded and 8 struck by spent balls. I shall write as often as possible. Give my love to all. Two months later, Sergeant Stuart was captured on Missionary Ridge. He spent the rest of his war at Rock Island Illinois, as a prisoner there. He was released on June 20, 1865, having taken the Oath of Allegiance to the United States.